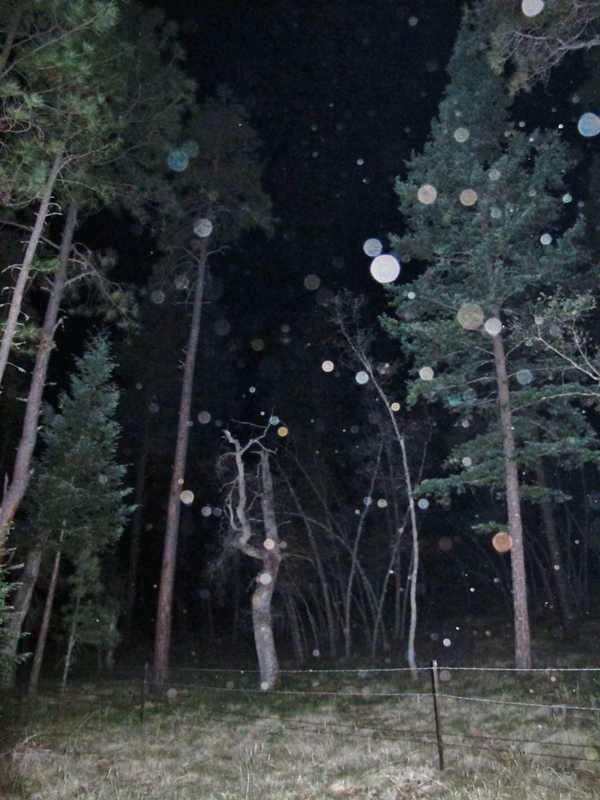 It was a quiet evening for orbs in the woods. At about 9:30 p.m. the dog and I went out to see if we could find something of interest on a moonless night. The orbs are there, but in silent repose. But still, when you find a wonder, are we to complain that it’s not wonderful enough? 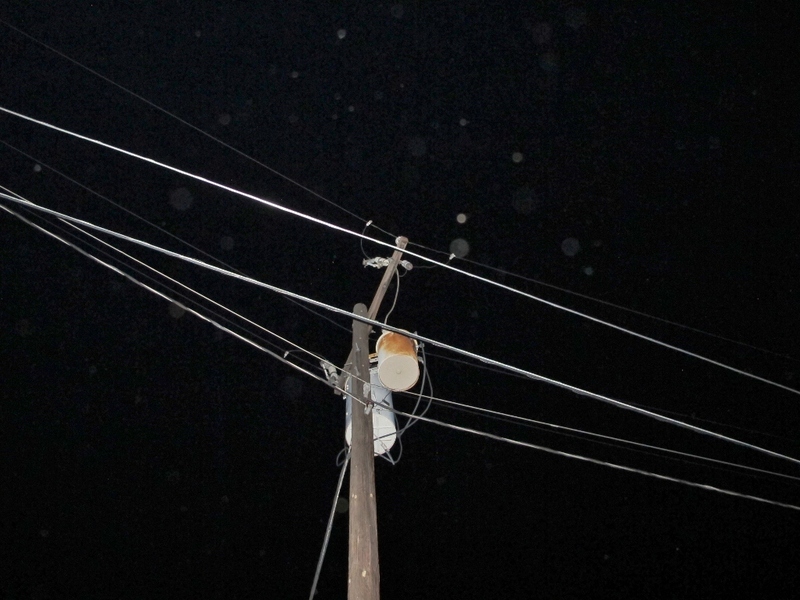 When questing orbs that remain elusive, they can often be found hovering over power lines. 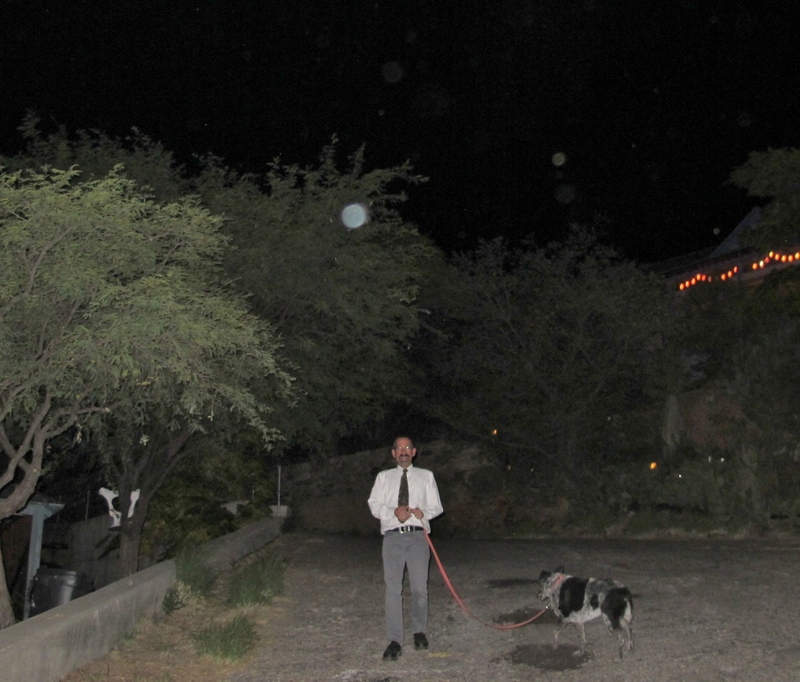 Who and what are orbs? Are they the will-o-wisps of yore? They do seem to have the sentience ascribed to them by Dr. Klaus Heinemann, a Stanford University professor of physics. All I know is that they are a mystery of pure delight. 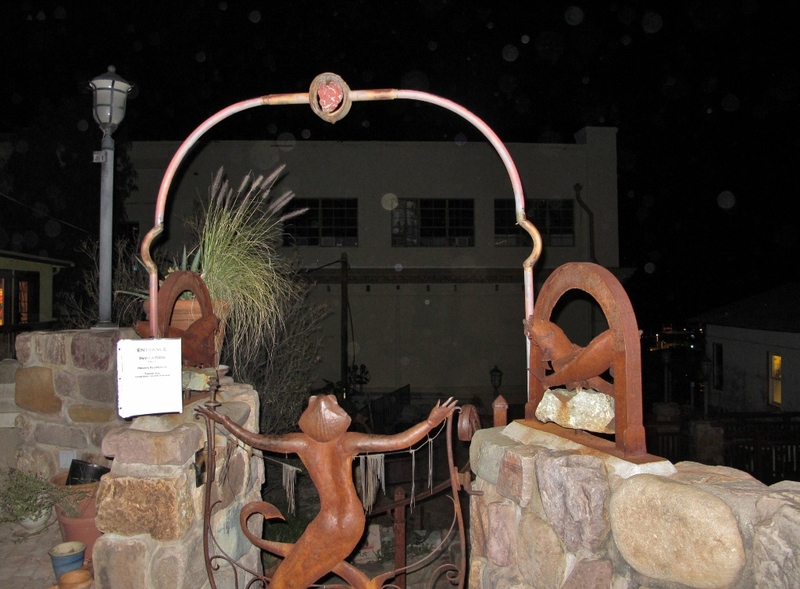 Stepping out in the night, I walked to a clearing and questioned my senses as to where the orbs were gathered. Left, at the forest’s edge, the deepest black of the moonless woods. Pointing my camera upward, with my flash set to fire, I paused and inserted myself into the silence. Pressing the button half way, the square auto focus set it’s finder on my black screen. We’re working blindly. 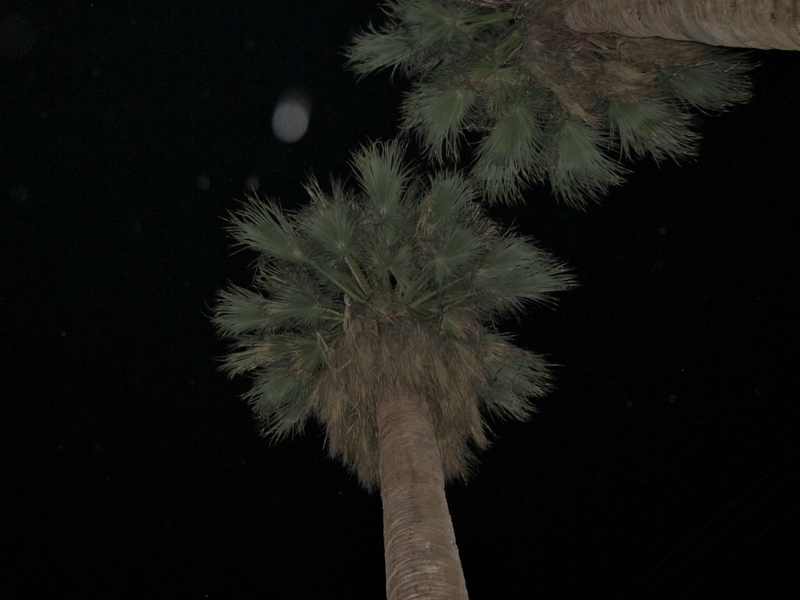 Press the button down all the way and the sky illuminates in bright flashes: the orbs appear. 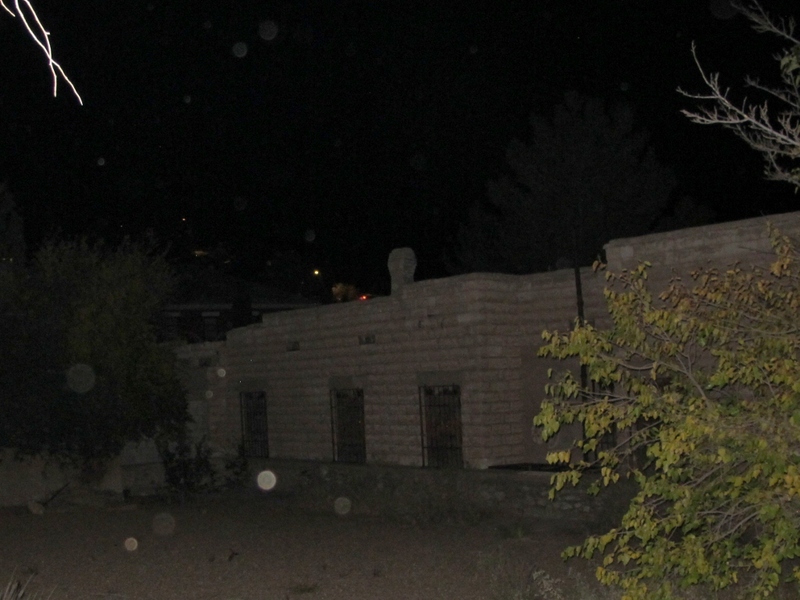 Whether or not orbs can be found, and there are at least a couple in the above photo, just shooting blindly into the darkness, then seeing what lights up in the night, is an exercise in trust and wonder. When I do get a really bright orb, I look at the pattern within the orb. 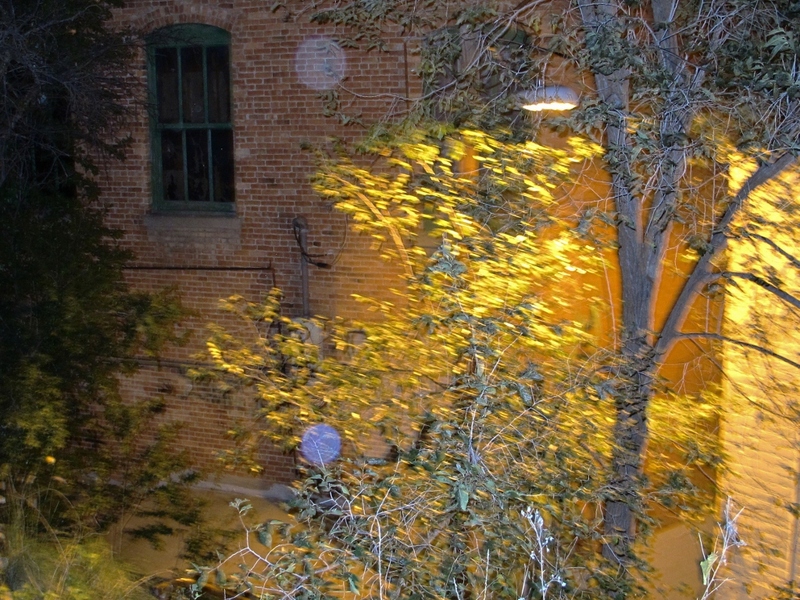 Using the tools in a simple photo program, adjusting the contrast to low and the shadow to high, brings out more details and often more orbs into view. Zoom in on this photo to see the halo of blue and gold. I’ll be out again tonight. We’ll see how the orbs respond to my quest. Once again I’m on a quest for orbs. 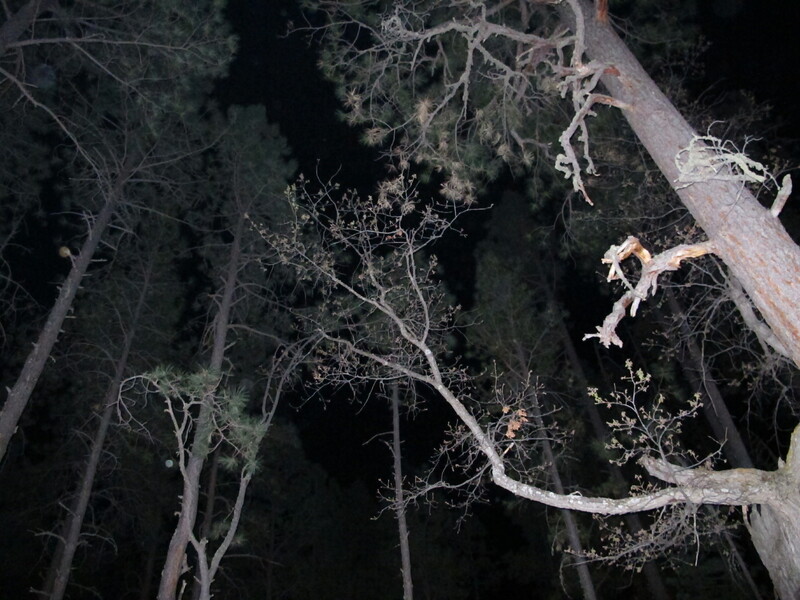 Easy enough to do if you simply step outside the cabin door, point your camera skyward and take a flash photo. 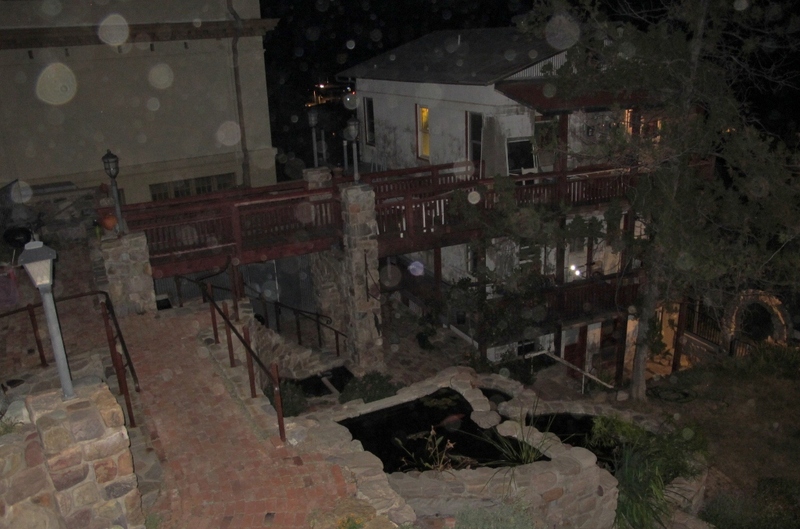 However, once I’ve taken that first simple photo, the orbs go into hiding. 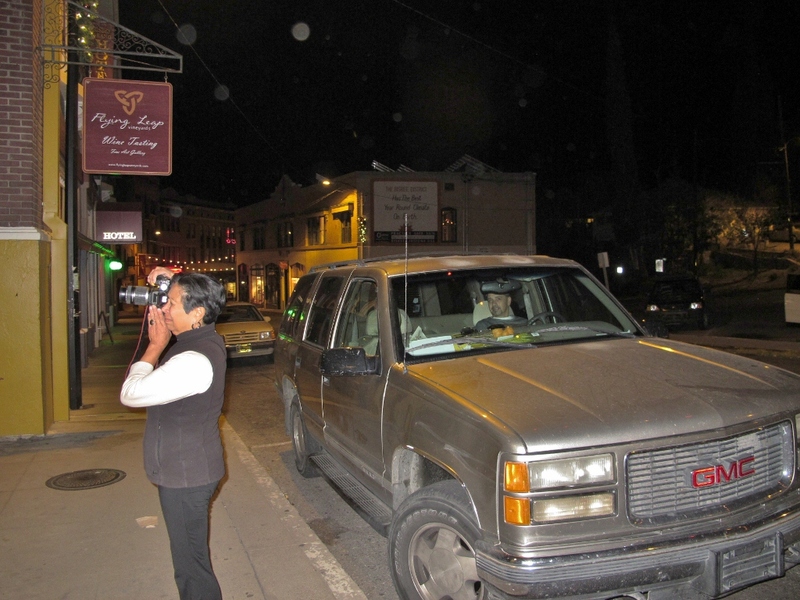 Leaving one behind as a sort of scout to figure out what this invasion of flash photography was all about. So, with the orbs playing peek-a-boo, it’s time to just enjoy pointing the camera into the darkness, and see what trees will become illuminated in the night. Ah, the orbs are back. Perhaps having their picture taken wasn’t so alarming after all. Always a pretty sight to find orbs drifting through the fireplace smoke. 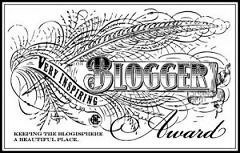 Although I think about questing for orbs every once and awhile, and I would love to share that delight with you, it seems that painting has captured my questing spirit these days… Salutations to you all from my painting blog….